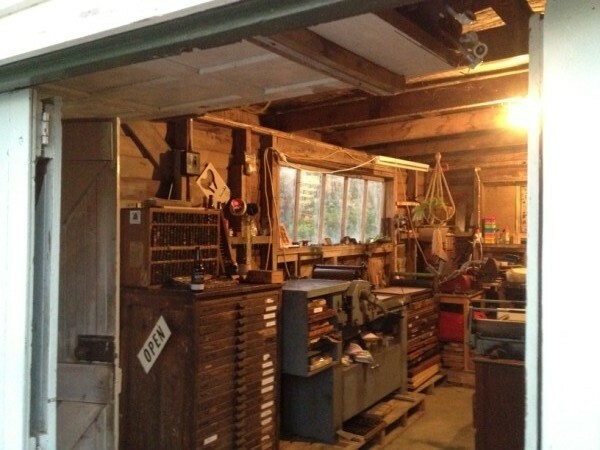 Perched high on the edge of a natural river gulley, this ex-state-house garage makes a very inspirational space for printing. The otherwise annoying Convulvulous finds its way in through the walls and gives a bit of ‘where the wildthings’ are feel. 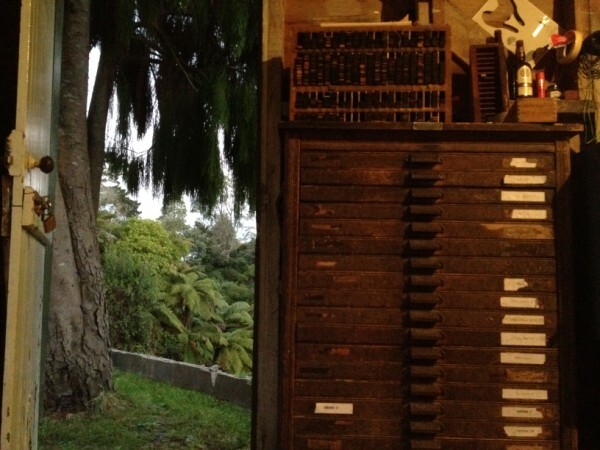 This entry was posted in Uncategorized and tagged Art, Design, Hamilton, Letterpress, New Zealand, Northland, style, typography, vintage, workshop by hooksmith. Bookmark the permalink. 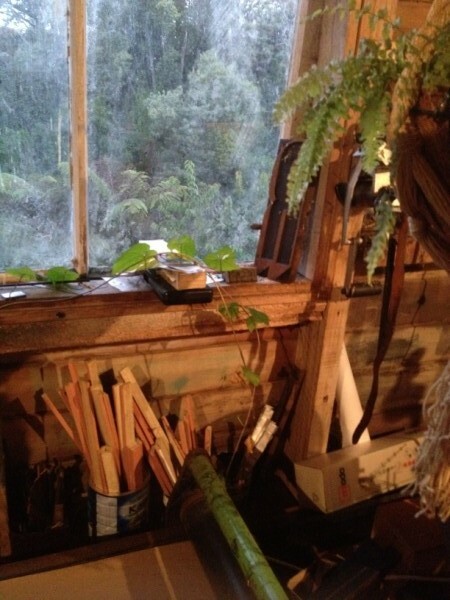 Am a bit in love with your work space! You are surrounded by mother nature, what a lovely space you have there!